This is archive of discussion before 31 July 2015. Last edited by Wohlstand on Fri Jul 31, 2015 5:19 am, edited 227 times in total. А я тебя помню! Во-первых добро пожаловать сюда, ну а во-вторых, я даже не знаю, получится ли это у тебя или нет. Я думаю, что люди уже давно сделали б это, если это было б возможно, хотя.. может у тебя это и получится! Я по-любому желаю тебе удачи и ... больше свободного времени! First of all welcome to the forums! I even don't know if this project will be succesfull.. but of course I wish you luck on this and ... more free time! h2643 wrote: А я тебя помню! Во-первых добро пожаловать сюда, ну а во-вторых, я даже не знаю, получится ли это у тебя или нет. Я думаю, что люди уже давно сделали б это, если это было б возможно, хотя.. может у тебя это и получится! Я по-любому желаю тебе удачи и ... больше свободного времени! На счёт получится - получится всё, если взяться и сделать, преграды ни для кого нет! Это всё возможно, большая часть игр под DOS, тоже платформеры писались преимущественно на С++. Переписать с VisualBasic проблемы не составит. Основная изюминка - понимать полный алгоритм работы, организации элементов игры и внутриигровой физики, и всё путём. Проект Hedgewars стал для меня толчком для создания проекта на базе SMBX, но под свободной лицензией. В любом случае, кроме полной совместимости со старыми SMBX-файлами, мы все напишем и улучшения и расширения, которые позволят создавать не только уровни, но и программировать самих неписей и игровых персонажей как вздумается (Например, переключать ускорение, включать выключать такие возможности как парить в воздухе или высоко прыгать, хотя высота прыжка/ускорение/максимальная скорость - общие скалярные параметры). Первым делом - создать точную кроссплатформенную копию SMBX, и потом из созданного уже строить дальше новые фичи. At the expense of work - will all take and when do obstacles for anyone not! This is all possible , most of the games under DOS, too platformers written primarily in C++. Rewritten VisualBasic problems will not make. The main feature - the ability to understand the full work organization elements of the game and in-game physics, and all the way through. Hedgewars project became for me the impetus to create a project based on SMBX, but under a free license . In any case, apart from full compatibility with older SMBX-files, we all write and improvement and expansion that will create not only levels, but also to program themselves NPCs and game characters they like (for example, switch acceleration, on/off include features, such as hover in the air or jump high, although the height of the jump/acceleration/ max speed - common scalar parameters). First of all - to create an exact cross-platform copy of the SMBX, and then out of already created to build on new features. Last edited by Wohlstand on Wed Feb 12, 2014 9:25 am, edited 1 time in total. Было бы конечно классно, но это всё кажется ОЧЕНЬ сложным для меня! Я в этом програмировании мало чего понимаю, хотя и не раз пытался какую-то програму создать..
That would be really nice, but this is so HARD for me! I didn't understand most of the things in the programming, but I already tried to make some programs, that wasn't succesful..
Last edited by h2643 on Wed Feb 12, 2014 9:46 am, edited 4 times in total. h2643 wrote: Было бы конечно классно, но это всё кажется ОЧЕНЬ сложным для меня! Я в этом програмировании мало чего понимаю, хотя и не раз пытался какую-то програму создать..
И ещё, пожалуйста пиши ниже (под тем твоим текстом) на Английском языке (это из-за правил этого форума). That would be really nice, but this is so HARD for me! I didn't understand most of the things in the programming, but I already tried to make some programs, that wasn't succesful. Let's see... how many smbx failed reviving project we had counting this? ah yes 6. Darkonius Mavakar wrote: Let's see... how many smbx failed reviving project we had counting this? ah yes 6. Darkonius, maybe he's a special one?! Unfortunately, not everyone has a strong desire and ability. Many allow a very big mistake - using the else's BRAND and content theft. You can also go in Example Hedgewars (http://hedgewars.org), come up with new characters, the story and the title. It will be reliable legal protection. A developer Hedgewars twice threatened Team17, but Hedgewars won. К сожалению, не у всех есть сильное желание и умения. И многие допускали очень большую ошибку - использование чужого БРЕНДА и воровство контента. Можно же пойти по примеру Hedgewars (http://hedgewars.org), придумать новых персонажей, сюжет и название. Это будет надёжной юридической защитой. Разрабочикам Hedgewars два раза угрожала Team17, но Hedgewars выиграла. My project - the engine, and is the heart. Sprites, music - gut, shell, you can draw whatever you like, to distribute as you wish. Heartless project can not live. And engine - HEART. Nintendo threatened ENGINE and therefore SMBX died. 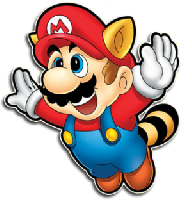 I can give a thousand examples are not so successful cloning of Mario, but they are all built on an independent engine. So they live. Мой проект - движок, а это СЕРДЦЕ. Спрайты, музыка - кишки, оболочка, их можно рисовать как угодно, распространять как угодно. Без сердца проект не может жить. Так и движок - СЕРДЦЕ. Nintendo угрожал ДВИЖКУ, и поэтому SMBX погибал. Могу привести тысячу примеров не столь удачного клонирования Mario, но они все построены НА НЕЗАВИСИМОМ ДВИЖКЕ. Поэтому они живут. This - a reliable way to revive SMBX, denying any possibility of Nintendo threaten engine. Это - надёжный способ возродить SMBX, лишив всякую возможность Nintendo угрожать движку. I'll know, yes it is possible to write in java various utility programs, especially java is cross-platform. In any case, now need a description of file formats *. LVL and *.WLD and technical descriptions of NPC and players. Буду знать, да можно на java писать различные вспомогательные утилиты, тем более java кроссплатформенный. В любом случае сейчас нужны описания форматов файлов *.LVL и *.WLD и технические описания NPC и игроков. Last edited by Wohlstand on Sun Sep 14, 2014 6:33 pm, edited 2 times in total. 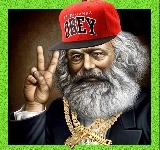 Hi, Wohlstand, welcome to the forums. I'm going to lock this topic because there's no reason to give this community any more false hope (people here like to jump all over that). "I need people to do all the work while I sit back and direct" projects (not that you're doing that, if you have C++ experience) generally never work, much less making a continuation of SMBX. Once you have sufficient progress on something like this, feel free to PM me or another staffer and this topic will be unlocked. Also, this is an English-only forum. Replacement of copyrighted materials? If I were you I would go to Talkhaus forums and post this topic, and ask the "A Super Mario Bros. X Thing" officials if you can use their materials: they have replaced every NPC and playable character in SMBX already with a non-copyrighted characters. I don't know why this was unlocked, but if you have something substantial I told you to show it to me first. By "substantial" I don't mean a chart of the blocks or a concept about the connection of SMBX sections (those things deserve their own threads), I mean an executable. Something that shows us you have the right skills to redevelop SMBX. If you want to post your findings, go ahead, but posting them under the name of "new open source SMBX" isn't the right way to do it. FanofSMBX wrote: Replacement of copyrighted materials? If I were you I would go to Talkhaus forums and post this topic, and ask the "A Super Mario Bros. X Thing" officials if you can use their materials: they have replaced every NPC and playable character in SMBX already with a non-copyrighted characters. I know about this project, they are good fellows! 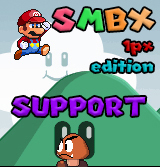 They used SMBX not as game about Mario, and used SMBX as a game engine for the free creativity. We with friends create a new history and new characters, anyway we too want to share the ideas and thoughts. Our project - the engine. Engine is a platform, the base on which everything is created. While I create the engine, at the same time we create a content and characters on the basis of SMBX. ASMBXT and drguy projects began with SMBX also. ASMBXT and other projects began with SMBX also. 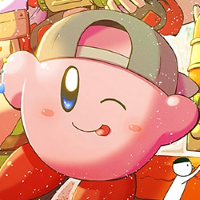 I really hope you don't cancel this project, because it's really one of the only options we can take to revive SMBX, and the fact you advanced this fast and this long means a lot to me, and probably to all of us. I'm gonna support you as well, good luck with your project. Natsu wrote: I really hope you don't cancel this project, because it's really one of the only options we can take to revive SMBX, and the fact you advanced this fast and this long means a lot to me, and probably to all of us. I'm gonna support you as well, good luck with your project. Big thanks for support! To me this project most is valuable. Therefore I started working. - added background images list and architecture.